The Reporting functionality has seen many updates since it was first launched in January 2017. In order to keep you informed of the latest changes and updates, we have created a Reporting Roadmap allowing you to see what has been released, what is coming up shortly, and what will be relesaed later in the year, and into 2019. Reporting Wizard! You will no longer have to go back and forth between the Reporting section and other modules, you can simply create the Analyses there. 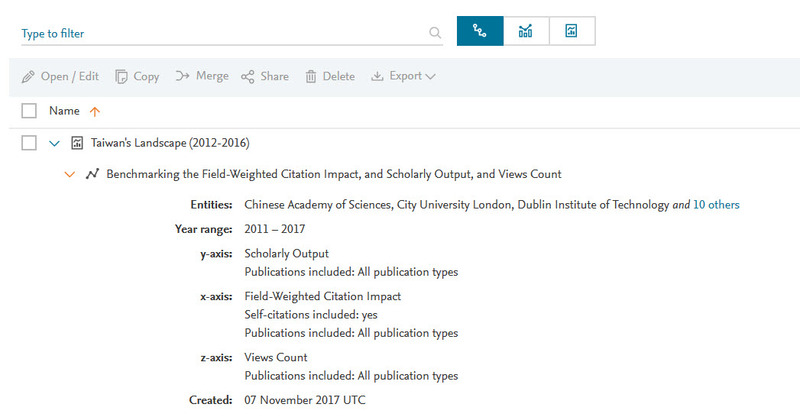 We can help you save a snapshot of your current research performance, for future comparisons via our webinar, “SciVal Reporting: Simple, time-saving tips & tricks”.